Mr Brijesh Pande is the Founder of the Tembusu ICT Fund I and the Managing Partner of Pepri Ventures. Tembusu ICT Fund I makes venture capital investments in software companies in South-East Asia while Pepri Ventures is a privately held investment partnership investing in promising Asian software companies. Mr Pande has more than 18 years of international experience in venture capital and banking across Asia, Europe and the Americas. 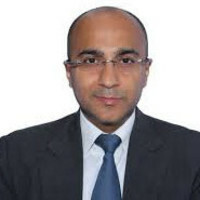 He was previously managing director and head of Private Equity at SBI Venture Capital Singapore, managed ANZ's Asian Corporate Sales business and spent 10 years at Citigroup in a variety of corporate and investment banking roles such as Head of Fixed Income Capital Markets for Citi Indonesia and Head of Corporate Sales & Structuring and Debt Capital Markets for Citi Philippines.